We’re trained to protect you. Training and experience go hand-in-hand in developing a world-class security organization. Prince Security Services is such an organization. With over 30-years of professional service and experience, Prince Security is dedicated to providing superior guard service for all of our clients. We do this by working together, to develop and promote a comprehensive safety and security program. This begins in our award-winning training program, and continues in every aspect of our business relationship. The values of our founder are evident in the on-going training required of each and every employee of the company. President and CEO Curtis M. Prince, Sr., since the establishment of Prince Security Services in 1980, understood that security training is the foundation of a superior security organization. A security organization is only as good as its personnel, and to be the best, these select employees had to receive the finest in training. Our clients deserve no less, and expect the very best in protective services. Prince Security Services utilizes industry best practices training for all of its personnel in an effort to maximize customer satisfaction. New employees of Prince Security Services, receive extensive training on how to effectively interact with our customers and their clients. We realize that customer concerns must be immediately addressed and our employee training stresses effective listening and immediate reporting of security concerns expressed to our onsite security providers to management. By creating a shared culture of organizational goals, strategies and operational methods Prince Security maximizes the contributions of its entire staff. Existing employees receive annual in-service training to re-clarify in great detail the specific security objectives of Prince Security. During this training, input is solicited to determine what our company could be doing more of, better or differently to achieve its security service objectives. By re-clarifying our organizational values, culture and beliefs during this training, we once again stress the importance of a pleasant, cheerful smile and respectful attitude toward customers to our employees. 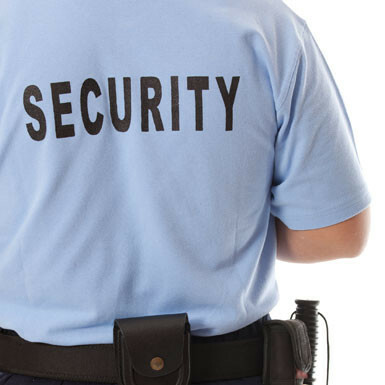 Prince Security strives to provide security services that is courteous, efficient and effective. We provide in general as well as specific training, from the finest security trainers in the business. Our trainers have over 40-years of military and law enforcement training experience. Our investigations are discreet and thorough. Our organization is strong, effective, and client-friendly. Our guard service observes, reports, and is vigilant in its deterrence of any criminal activity. Protecting our clients is more than a service, it is our duty. A duty that starts from the moment Prince Security is chosen to secure your interests. Our professional training program ensures the highest level of security.